The Maitriyana is a spiritual path (marga) towards the Awakening (Bodhi) of the individual and society, by developing an authentic pathway of an analytical understanding, an existential conduct and a libertarian meditation on the basis of the teachings of Gautama and Jesus. Therefore, it is about a solidary Path of spiritual evolution. In this sense, the Buddhist Socialism is an international movement that is proposed to apply compassionate wisdom (karuna-prajna) to the political, economic and cultural problems of the contemporary world, as the possibility of the environmental destruction. Thus the Maitriyana is a mystical counterculture with the Purpose (Dharma) of creating a sane, free and enlightened society. Therefore the spiritual masters teach how to heal the world, devoting their lives to the commitment and responsibility towards the welfare of the entire Earth (Gaia). This orientation is translated into a revolutionary contemplative practice (kakumei zen) that develops the hidden spiritual possibilities in all beings, by self-realizing the apprentice and simultaneously transforming the peoples through the solidary action. The Buddhist Socialism involves an extraordinary effort, for it is about transforming the inner and outer world, waking the wise consciousness and the compassionate action, so that it surpasses the ideologies that consider it is possible to change society without producing an inner revolution. Indeed, the Maitriyana is an integrating pathway because it implies the Cure (Nirvana) of both the poisons of the inner world, which are attachment, aversion and unconsciousness of mental reality, as well as the poisons of the external world, which are greed, hatred and delusion of the social reality. Like the Master Kapleau, the Buddhist Socialism appreciates the solidary activism as a contribution to the world and as a possible form of libertarian meditation, by helping the individual to develop love and equanimity. This teaching of the Free and Enlightened Being (Arhat-Bodhisattva) has a radical meaning: the peak knowledge (satori) is authentic when it is expressed into action wisely compassionate. Therefore, the tradition of Maitriyana is a model of Integrative Spirituality that seeks both the transcendence of Ego and the Awakening (Bodhi) of the people, and so the orientation of the spiritual master being the hardest path to travel. Definitively, the source of this loving and spiritual attitude is the artistic contemplation, as Master Kukai has taught, because the Purpose (Dharma) or Truth of life can be expressed through the spiritual art by revealing the state of Sublimation (Nirodh). This lucid and inspiring conception of the path of Buddhist Socialism is the key to understand how to achieve the Liberation and Serenity (Samatha) of the apprentice and the society. The Way of Maitriyana helps the entire humanity to achieve the Cure (Nirvana), by teaching an advanced evolutionary state that is nothing less than the ideal or aspiration of the Free and Enlightened Being (Arhat-Bodhisattva): achieving the Awakening (Bodhi) of all beings. This fundamental metamotivation is the mission of the Awakened and Saviour Being (Buddha-Christ), reason by which the libertarian meditation reveals Gautama and Jesus as the cosmic archetypes or maximum incarnations of the compassionate wisdom (manjushri-kuanyi). These figures should not be used with the intention of religiously worship them, since they are a source of inspiration and self-realization of the hidden potentialities of the individual. For the Buddhist Socialism, Gautama and Jesus comprise a model and paradigm of a waking mind, peak knowledge (satori) and solidary conduct, but not a source of religious cosmology. Therefore, like Master Kapleau, the Maitriyana confirms that the aim of the contemplation of the Real is learning to act with compassionate wisdom (karuna-prajna) in the world. This solidary attitude, however, is not a mere activism, because it has the profound intention to save and liberate others. Goodness then is the essence of the mysterious practice of libertarian meditation. The wheel of the Purpose (Dharma) is one of the most special and ancient symbols of Spirituality, being an emblem of the teachings of Gautama and Jesus, because it symbolizes the highest degree of integrity and uniqueness. Evidently, the Sense of Purpose (Dharma) is the profound mystery of existence, being the essential outline of the contemplative practice that leads to both the Cure (Nirvana) and the Liberation of the Peoples. Therefore, through the Sublimation (Nirodh) of Desire, the spiritual master represents not only the most amplified and higher state of consciousness, but also the most ambitious program of transformation of the world, by irradiating compassionate wisdom (karuna-prajna) to the confines of the whole Universe. Thus, the libertarian meditation is the vehicle for the initiation and welfare of all humankind. The tradition of the Free and Enlightened Being (Arhat-Bodhisattva) is then revealed as pure solidarity with the fellow beings, by participating in politics, economy and culture with the guidance of protecting the Earth (Gaia) through the transmission of wise serenity and compassionate action. The path of the Buddhist Socialism is the deployment of Spirituality in the everyday life, by cultivating the contemplative consciousness in order to create a better world. In this way the libertarian meditation is always a simple, useful and comprehensive position of solidary approachment to others. This lucid and spiritual love represents the culmination of Maitriyana, by helping the people to achieve the Salvation amidst the mundane suffering. Therefore, the roots of this movement are Gautama and Jesus, who were the greatest masters Awakened and Saviour Beings (Buddhas-Christs) of history, as the maximum symbol of the attitude of awakened consciousness (bodhicitta) and compassionate wisdom (karuna-prajna). The gradual flowering of the Awakening (Bodhi) of the world represents the possibility of moving forward with clarity and lucidity towards the next evolutionary stage. In this way the Socially Engaged Spirituality of Buddhist Socialism is the most important practical and theoretical path, because it contemplatively expresses the high goals of the human beings. The spiritual master proposes the libertarian meditation as a direction towards the transformation of the inner and outer world, by exercising a vision and experience capable of achieving the Cure (Nirvana) of the apprentice and of the Earth (Gaia), because this path is a return to the spiritual nature of all humanity. Just like Master Matthiessen, the Maitriyana confirms that the true nature of Self is return home, by raising a Kingdom of Heavens on Earth. For the Buddhist Socialism, the integration of the sacred and the profane, the spiritual and the mundane, are an expression of contemplative maturity, Gautama and Jesus being an archetypal figure of this profound solidarity with the welfare of all living beings, because as Master Tenzin Gyatso establishes, the main characteristic of a Free and Enlightened Being (Arhat-Bodhisattva) is his great universal love for the world. This benevolent attitude characteristic of the libertarian meditation is the aspiration that all human beings become aware and cease the suffering, causing a worldwide level of Spirituality without precedent in nature. This implies that the Maitriyana, like the Master Aitken, believes that flowers, children or birds are glimpses of the Awakening (Bodhi) of the Socially Engaged Spirituality. Indeed, the fundamental principle of Buddhist Socialism is then the interrelationship and interdependence of all that exists, showing that the inner and the outer world are one. The spiritual master teaches solidarity as a contemplative practice whose only Purpose (Dharma) is the Cure (Nirvana) of suffering. In fact, the impulse of the Free and Enlightened Being (Arhat-Bodhisattva) is to develop the true nature of humanity and alleviate the oppression suffered by the peoples. An important principle of Maitriyana is to unify the everyday life with the spiritual development; by performing the common activities with a detached attitude and mystical consciousness. This learning which is provided by the libertarian meditation involves that working – even though it is about transporting water and wood – must be experienced with lucidity and compassionate wisdom (karuna-prajna). In fact, the Buddhist Socialism coincides with Master Dogen that the daily acts do not exist outside the Spiritual Purpose (Dharma), by teaching the individual to feel peace and Mindfulness amidst the daily conflicts, which unites the transcendental to the mundane. Thus, for the spiritual master, Serenity and Liberation are always in wonderful moment of present. The cultivation of Mindfulness to the present time is the practical pathway of the awakened consciousness (bodhicitta) in the here and now. This contemplative practice on the activities of the everyday life simultaneously is an opening and delivery to the internal and external world. Just like Master Ikkyu, the Maitriyana confirms that the true key for Salvation is Mindfulness, because it allows the Free and Enlightened Being (Arhat-Bodhisattva) not be isolated and maintaining a useful and solidary presence in the world, always recognizing the needs of the others. In this way the libertarian meditation teaches the apprentice to worry about the ethical consequences of his choices, whether conscious or unconscious. Therefore, for the Buddhist Socialism, the three pillars of the spiritual learning are contemplation (dhyana), wisdom (prajna) and ethics (sila), which in turn have as a common basis the force of compassion (karuna). Consequently, the precepts of the ethical conduct derived from this Integrative Spirituality are to respect life, to be equitative with others, love adequately, speak honestly and maintain the consciousness pure against the perversion and destruction that the capitalist system transmits. In this way Mindfulness does not lead to permissiveness or indifference in the face of the world’s conflicts, but it cultivates tolerance and patience in order to achieve their Salvation. Being fully present in the here and now is the secret of a better world. The Maitriyana is an expression of the type of spiritual family or solidary commune (sangha), by manifesting the millenarian ideal of compassionate wisdom (karuna-prajna) through the loving attitude for others. Therefore, the Buddhist Socialism develops the model of spiritual family as a form of libertarian meditation, by recommending that parents and children base their everydayness on certain ethical and socialist principles. This implies that the model of family and commune (sangha) driven by the spiritual master is superior to any style of social bond, leaving the type of materialistic family in order to develop a group of people with a common Purpose (Dharma) or supreme goal: the Awakening (Bodhi). The contemplative life then constitutes an alternative to the materialistic culture, transforming the home of the individual in a learning centre of the Way (dojo). This transformation is an important dimension in the teachings of the Free and Enlightened Being (Arhat-Bodhisattva), bringing Mindfulness to the family life, which revitalizes the presence of transcendental values such as respect, generosity, responsibility, cordiality and purity. Indeed, the Maitriyana radically changes the family life, since the libertarian meditation is basically a duty of helping others, by developing the principles of self-knowledge and compassionate wisdom (karuna-prajna). This non-genetic transmission of Mindfulness allows raising children and turning them into evolved humans, beings that are willing to give their lives for building a better world, beings that are able and capable of save humanity. Thus the Buddhist Socialism is the fundamental function of producing a systemic change in society. For the Maitriyana, an adequate way of work is something important for the Cure (Nirvana) of the apprentice and society, by integrating the contemplative practice into the everyday life in order to honourably work in spite of the materialistic and consumerist civilization. This right livelihood obviously implies a cordial relationship with the others, because it is basically a vocation nourished by the compassionate wisdom (karuna-prajna), as Theodore Roszak indicated. Thus, the adequate way to work prescribed by Gautama raises a pathway of personal satisfaction, knowledge of reality and service to the fellow being. By sublimating the deepest intentions of the individual, the correct livelihood expresses responsibility for the future generations. Therefore, the libertarian meditation can be defined as a way to enjoy the work that one is supposed to do, which strengthens the character and refines Mindfulness of mind. Evidently, the principles of the adequate way to work, as fidelity to oneself, consideration for others and compliance with the agreements, are very profound practical values for the Buddhist Socialism, together with social responsibility and environmental care. Therefore, the spiritual master seeks the reformulation of the contemporary world through the reflexive speech and the ability to listen carefully to others, by cultivating cordiality and frankness to transmit hope, happiness and Awakening (Bodhi) to the whole society. This commitment of the Free and Enlightened Being (Arhat-Bodhisattva) banishes the conflict and disunion of capitalist civilization, encouraging the abandonment of greed, hatred and ignorance. Consequently, the Maitriyana has no objection to claim that the economy, politics and culture of capitalist materialism is destroying the planet, so that it simultaneously propounds that the correct livelihoods are fundamental for the survival of humanity and the Earth (Gaia). While religions and governments often ignore the evils of the world, such as war, poverty, ignorance and pollution, instead, the Buddhist Socialism strives to provoke about a global transformation through the force of Solidarity. This task requires a supreme determination, applying spiritual values and a higher and amplified state of consciousness (H-ASC) in order to solve the world problems. The spiritual tradition of Maitriyana risks notably, because combating greed entails the price of loneliness. However, society desperately needs this kind of contemplative practice. Solidarity is the natural expression of the aspiration of the spiritual masters of saving all beings, by being the fullest offering that can be done for life. In this sense, the Free and Enlightened Beings (Arhats-Bodhisattvas) are the tools for building the future world with joy and enthusiasm. The apprentice who practices libertarian meditation feels he has to do something facing social injustice, so that the revolutionary struggle is not alien to the Spirituality of the Buddhist Socialism. Although this libertarian political participation is nonpartisan, it certainly is a metapolitical involvement that works for the welfare of all beings. During the last 2600 years the spiritual movement created by Siddhartha Gautama was a synthesis of the psychological, philosophical and political levels, by having an influential role in society for being an international symbol of peace, justice, knowledge and ecology. These values are the four pillars of thought and social practice of the Maitriyana, which is a metapolitical path that starts from the idea that the inner and outer well-being are interconnected to each other. Thus, the revolutionary contemplation (kakumei-zen) openly advocates both for the Liberation of the individual and for the democratization of the people. The Buddhist Socialism is effectively a pacifist and integrative movement, conveying a cutting-edge education and defending human rights at a global level. This postmodern tendency favours the social transformation on the basis of non-violence, which are both the means and the very end of the Cure (Nirvana). In this way the ethical precepts of Maitriyana are both a guideline for the apprentice and a social struggle against militarism, exploitation, corruption, prostitution and drug trafficking. These practices are the recipes for a society awakened and cured from the evils generated by consumerism, such as inequality and environmental destruction. Indeed, the spiritual master categorically affirms that politics, economy and capitalist culture is intimately linked to attachment and greed, by considering in the same way as Master Buddhadasa that there is an alternative paradigm of civilization: the Buddhist Socialism. This positioning is the creation of a global libertarian community dedicated to the Awakening (Bodhi) of all beings. This quest for Liberty, Equality and Fraternity seeks to convert the entire world into a Kingdom of Peace where the whole society lives in harmony with nature. Thus the Maitriyana represents a spiritual alternative of a profound social change, conceiving a future free from acquisitive and competitive impulses. The libertarian meditation then leads to the development of a sane and better society, transforming the structure of the world by applying the awakened mind (bodhicitta) and the compassionate wisdom (karuna-prajna), which are fundamental to find the cure (Nirvana) from suffering at a global level. From this point of view, solidarity can solve and overcome all conflicts and challenges that appear, by practicing revolutionary contemplation (kakumei-zen) in order to create an international community of peace and social justice. According to the Free and Enlightened Being (Arhat-Bodhisattva), no matter how unfair or infernal the world situation is, one should always contribute to the Liberation of humanity and the protection of the Earth (Gaia). Facing a process of mass extinction of species that the capitalist civilization is rapidly performing, the spiritual master is positioned in society as a protector of nature, being fully committed in trying to solve very serious problems such as the destruction of forests. This pathway of defense of the Mother Earth (Gaia) is one of the multiple directions to which the Buddhist Socialism is aimed. In the Analytical Existential Libertarian Discourse (Buddha-Dharma-Sangha) it is performed a call to protect all ecosystems through the principles of pacifism and compassionate wisdom (karuna-prajna). The method of the libertarian meditation is an ethical response facing the ecological crisis of West and East, helping the subject to be able to understand that the spiritual values are the only possible solution to this global problem. In this sense, the Maitriyana shows that there is a fundamental interexistence between the apprentice and the environment, this vision of interdependence being a requirement for the very process of Awakening (Bodhi). 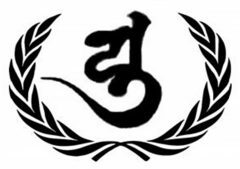 In this sense, the revolutionary contemplation (kakumei-zen) is a supreme form of environmental activism, manifesting an attitude of union and interdependence with all beings. In this way, the Buddhist Socialism encourages simplicity and the responsible and moderate consumption, always having respect for the environment and detachment from the illusory needs, which leads to the true happiness. The awakened consciousness developed by the libertarian meditation can transmit the force of social and environmental activism to the future generations, by detaching the individual from the thirst for seeing results or fruits of action in the short term. Thus the Maitriyana is a lighthouse of hope against the painful extinction of species, because it is the Path towards the Cure (Nirvana) of the Earth (Gaia). By following Awakened and Saviour Beings (Buddhas-Christs) like Gautama and Jesus, the Buddhist Socialism deploys an impressive vow of wise and compassionate action, having the Purpose (Dharma) of purifying the Earth (Gaia) and liberating the peoples through the revolutionary contemplation (kakumei-zen) and its peak knowledge (satori). While there are conflicts in the world, the tradition of Maitriyana will continue to struggle peacefully for the Salvation of humanity. Therefore, the Free and Enlightened Being (Arhat-Bodhisattva) personifies the awakened and adequate action against the Real. Thus, the path of Buddhist Socialism manifests solidary actions in fields such as economy, politics and culture. In this sense, the deployment of compassionate wisdom (karuna-prajna) transforms society by organizing a type of community (sangha) dedicated to the aim of Liberty, Equality and Fraternity. In the reconciling vehicle of the Maitriyana it is considered that all the peoples have potentiality to change their attitude and achieve this Awakening (Bodhi). But this implies be contacted mystically with all areas of life, devoting Full Attention to the fellow being and showing reverence for the weft of nature. The spiritual master knows perfectly how to instruct each person, because some people need teachings while others require his presence or attitude. For the Buddhist Socialism, the spiritual practice may occur in different scenarios, such as loving parenting, righteous work and the care of nature. The Free and Enlightened Being (Arhat-Bodhisattva) transmits the Cure (Nirvana) in multiple ways, although all of them share essentially the spirit of solidary practice and the compassionate wisdom (karuna-prajna). In the practice of libertarian meditation, the analytical-existential understanding is developed in the encounter with the others and the entire world. From the point of view of Maitriyana, the transmission of the spiritual Purpose (Dharma) is an archetypal and peak expression of loving action for the others. This path of serenity-in-action is the revolutionary contemplation (kakumei-zen) as an attentive and persevering pursuit of helping the other to able to Awaken (Bodhi). In 2600 years of history the Spiritual Discourse has adapted to different cultural circumstances, so that the tradition of Buddhist Socialism is a metalineage which honours all the great spiritual masters who were pioneers and archetypes of the Path of Spirituality. Thus, the great ancestors of the Maitriyana were Gautama and Jesus, who bravely assumed great physical dangers to try to save the world by means of the compassionate wisdom (karuna-prajna). This attitude of universal solidarity is essentially the action of the Free and Enlightened Being (Arhat-Bodhisattva), whose solitary way passes through all sorts of fear, shame, madness and illusion. The libertarian meditation envisions how to develop an attentive and awakened society, by transforming the mind, ideas and communities. In this way, the Maitriyana exerts an unprecedented spiritual leadership in the world history. However, this model of ideal society generates controversies and criticisms in those who are attached to the status quo and are terrified to change. In spite of this, the most important goal of the Buddhist Socialism is to lead all beings into the unknown path of Liberation and Cure (Nirvana) from suffering, by being determined to purify the mind and society from addictions of attachment and consumerism. The Maitriyana maintains serenity even in the face of the enormous dangers that implies being a voice of revolutionary honesty, so facing the crises it manifests clear ideas that are capable of transforming any kind of personal or social situation. Just like the master Thich Quang Duc, the spiritual master is willing to sacrifice his own life in pursuit of the Awakening (Bodhi) of the people. These transcendent generous acts are inherent to the mind of the Free and Enlightened Being (Arhat-Bodhisattva). Thus, the Buddhist Socialism is ready to cope with a difficult future, because war, indigence, illiteracy and pollution are four very powerful horsemen on the pathway of capitalist civilization. The revolutionary contemplation (kakumei-zen) helps the apprentice to develop Mindfulness and Serenity even in disaster situations. Therefore, the libertarian meditation is an essential aspect of all genuinely revolutionary path. Contemplation (Zen) allows the subject to be truly attentive to the internal and external situations, being able to respond ethically to the psychological and social suffering. In this sense, the attitudes of clarity and openness are deeply intertwined with perseverance and solidarity. The Maitriyana claims that the apprentice cannot change the world unless he himself has not changed before. In this way, the mystical life is intrinsically solidary. The spiritual master considers that the fundamentals of the libertarian meditation are tranquility and the full presence in the world, by being the maximum expression of the pacifist and solidary movement of East and West. On the pathway of the Buddhist Socialism the practice and theory are the fruit of contemplation-in-action or doing-in-the-nothingness (wu-wei), which is the learning of the ethics of silence and responsible detachment. From the lives of Gautama and Jesus the Maitriyana offers the most important example of what it is the serenity and equanimity, by maintaining with calm and alert a dynamic balance of inner and outer concentration. This libertarian meditation is achieved through a fascinating synthesis between direct perception of the world and isolation in nature. The Buddhist Socialism participates in the world with joy, awakened consciousness and solidarity, always acting for the good of the others. This lifestyle dedicated to serving the fellow beings is the key not only for the Cure (Nirvana) of mind but also for the Liberation of society. Therefore, this virtue of generosity, which is the highest value, is about a work from heart to heart, by renouncing the own benefit for the welfare of the people. The fabric of contemplation (Zen), compassionate wisdom (karuna-prajna) and solidary action form the most powerful force in the history of humanity: the Analytical-Existential-Libertarian Discourse (Buddha-Dharma-Sangha). Indeed, the Maitriyana is the way of the solidary attitude and the humanitarian principles, by working on the network of interexistence for the Salvation of the Earth (Gaia) and the evolution of humanity. The Buddhist Socialism is a mystical social action that seeks the spiritual maturity of the peoples, so that it shares the values of Liberty, Equality and Fraternity in order that all beings can feel this miracle. Thus, the subject must be delivered to the search both of the Awakening (Bodhi) of Self as well as of Healing of the world. This work for the transindividual Liberation is the pathway of the Free and Enlightened Being (Arhat-Bodhisattva), on which the apprentice cannot be authentically liberated unless all other beings are not liberated too. Thus, the Integrative Path of Maitriyana is a movement of genuine humility and openness (sunyata), by stating that a spiritual master may not be physically different from any other human being, although his higher and amplified state of consciousness (H-ASC) makes him notably in an evolved being. Even although he lacks parapsychological powers, the Free and Enlightened Being (Arhat-Bodhisattva) has a pure and spontaneous participation in the world, converting his daily life into a true mystical practice. Therefore, the spiritual masters are the creators of a better society, struggling with commitment, simplicity and courage for democracy, human rights and the evolution of the peoples. The commitment with the cause of transformation of social reality is then the culmination of 2600 years of Spirituality. However, this spiritual path is infinite, because there will always be new perceptions to have, new learnings to transmit and new persons to help. The fundamental principle of the libertarian meditation is that Liberation is the intrinsic spiritual nature of humanity, so it is not about something that must be acquired but rather dis-occulted. Therefore, the libertarian teachings of the tradition of Buddhist Socialism, through the paradoxical dialectic logic, mean that the spiritual evolution of human being is the expression of his true selfness. Contemplation (Zen) is a revolutionary attitude that aims to liberate such occult nature by means of the embodiment of the compassionate wisdom (karuna-prajna). Evidently, the Integrative Spirituality of Maitriyana is diverse and flexible, adapting itself to contemporary conditions through different disciplines in order to convey solidary love and ethical generosity. One of the most important features of Buddhist Socialism is its constant passion for the transformation of the inner and outer world. In accordance with the Master Hisamatsu Shin´ichi, the Maitriyana claims that the truly spiritual lifestyle in the contemporary civilization is based on the three pillars of the analytical inquest of the Self, the existential inquest into reality and the libertarian inquest of the world history. These three complementary pillars are equivalent to the multidisciplinary set of the Analytical Existential Libertarian Discourse (Buddha-Dharma-Sangha), whose practice and theory is something that profoundly transcends clinical psychology, academic philosophy and partisan politics. The integration of these elements constitutes a conscious, interdependent and solidary life, assuming the radiant attitude of the peak knowledge (satori) unto the ends of Cosmos. Kenneth Kraft, The Wheel of Engaged Buddhism: a new map of the path.